Disclaimer: This post is in collaboration with Carnival Cruise Line. However, all opinions are always my own. I am beyond excited to announce my partnership with Carnival Cruise Line for the next 3 posts. I'll be going off on a voyage with them on their Baja Mexico Halloween Cruise next weekend and I can hardly wait. A cruise experience celebrating one of my favorite holidays? Yes, please! I'll be on Instagram Stories posting a room tour, ship tour, food, events and more so make sure you're following along by clicking here. Shore Excursions - When you get to your destination, there's oh so much to explore! 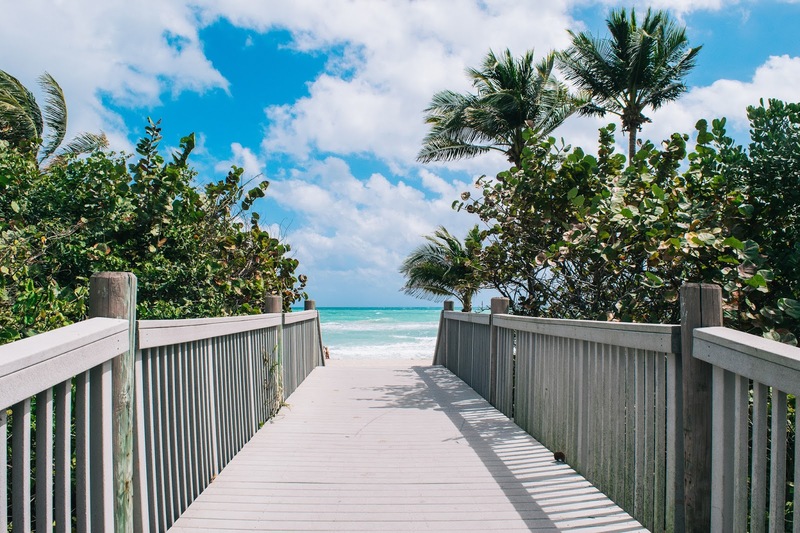 Carnival Cruise has you covered with amazing excursions that range from historical tours, swimming with rays, horseback riding, hiking, boating, drinking, shopping and a lot more for an extra fee. The excursion options vary depending on your destination but there's no doubt something will catch your eye. Plus, since it's organized by Carnival Cruise, you don't have to worry about transportation to and from the ship or the time spent on each activity; they take care of all the details so you can focus on enjoying the excursion. Click here to learn more about the shore excursions and what you can expect from it. Motion Sickness - This is something that really surprised me when I got on a cruise for the first time. I knew that it was possible to get motion-sickness or sea-sick, but with the boat being so big I didn't think that I would get sick. Now keep in mind that I easily get motion-sickness, even from driving 20 miles or so. Luckily the first time I went on a cruise, the friend I was with is a registered nurse and she recommended that I purchase dramamine and or a motion-sickness bracelet. I can't really tell you the science behind the motion sickness bracelet but it truly worked. In addition to that, the dramamine pills made everything better. So if you think that you or your kids have even a slight possibility of getting sick, I would highly recommend grabbing the bracelet or a dramamine. Neither of them cost that much and totally worth it. Because really, you don't want it to totally ruin the entire experience! Spa - What you may not know is that cruises offer spa and fitness services, some with extra fees. Especially on the days you're at sea, it's such a great way to relax or get your fitness on. The specific services depend on the cruise but you can check out the options by clicking here. There are jogging tracks, fitness centers and classes to cancel out all the food and drinks, which is what I will definitely be doing! Since you're pampering yourself already by being on a cruise, why not give yourself a little bit of extra love by scheduling a spa appointment? Don't be surprised if you see me doing that on Instagram Stories! Formal Night - Every cruise has a 'Cruise Elegant' night where you're encouraged to wear formal attire. They have photo opportunities that make for great memories and who doesn't love a chance to dress up? 2-5 day cruises have 1 Cruise Elegant nights and for 6+ day cruises will have 2 Cruise Elegant nights. Check your cruise for the schedule! Don't know what to wear for it? Click here for more information! Gratuities/Tips - While gratuities are obviously optional, it's good to tip the people who serve you. Especially because you start to recognize them and they're all super friendly. You can tip as you go, or do automated gratuities per day onto your account, or prepay your gratuities. Click here for more information! Entertainment Schedule - There's always something going on aboard and you don't want to miss out. There's tons of options as far as entertainment goes and it's best to know what the schedule looks like before or as soon as you get on board. The entertainment options seem endless with game shows (you can be a participant! ), clubs, lip-sync battles, musicals, live music, murder mysteries and stand-up comedy shows. I ended up going to a comedy show every night since they have the funniest comics! I'm thinking of checking out some musicals while I'm aboard since I'm a huge Broadway musical junkie! Disembarkation Process - Just because your return time is 8:00AM, doesn't mean you'll be out by 8:30AM. The disembarkation process is very organized but takes a while, so don't promise your job you'll be in by 9:00AM! Every floor has a different disembarkation time slot and you get processed through customs if you went overseas. For example, the last cruise docked around 8:00AM and we didn't get to our car in the garage until 10:30AM! Bringing Wine, Water & Soda On Board - It's good to also note that some cruises will allow you to bring a case of water, 6-pack of soda and 2 bottles of wine but it depends, so make sure you check your cruise line rules! Beverage Programs - While most things are included in the price of cruising, it's great to keep in mind that there are several different beverage programs depending on what you prefer. I'm not too much of a drinker but my favorite is the CHEERS! Beverage Program which includes all alcoholic and non-alcoholic beverages. Not only do you save money, it's nice not to worry about a tab! But hey, no alcohol? No problem! The Bottomless Bubbles Beverage Program has you covered with unlimited soda! Cell Phone Coverage & Wifi - While cruising is a fantastic time to disconnect, sometimes you just need to share a photo of your drink to jealous colleagues or you want to be reachable to family and friends. And that's ok! Carnival Cruise has 3 Wifi options to choose from; Social (for social media platforms only), Value (most websites, e-mails and social) and Premium (everything!) at an extra charge. If you don't want to pay the extra charge, most ships will have a business center to stay connected. You better believe I'll be connected as I share my experience on Carnival Imagination! Have you been on a cruise before? 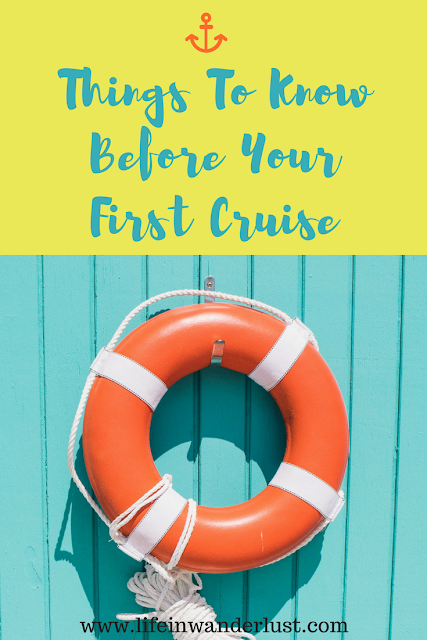 Are there any other things you think someone should know before their first cruise? So glad I found your blog again! I couldn't remember the name and I was trying my hardest to remember! Yay! Anyway, great post as always! Cruising is my favorite way to travel! Awww, thanks Diam! So glad you're back to the blog and to the Fly Away Friday link-up, YAY! I've never been on a cruise but I'm dying to go on one in the north or south pole! These are some great tips, Kana. I'd definitely sign up for the CHEERS! Beverage Program haha - you know me! Your motion sickness tips are excellent ;) I get sick from sitting in the car and glancing at my phone for a second. It's a pain. My bf's mother gave me some motion sickness bracelets when we flew to Maui and they worked a charm! I'm also a veteran of Dramamine. The formal nights on cruises are kind of the thing that makes me want to go on a cruise. I never get the chance to properly dress up and I think I'd love it!